Longtime readers of the blog will be aware that the Mercedes Unimog is one of my favorite vehicles. While rare here in the US, they’re ubiquitous across Europe. 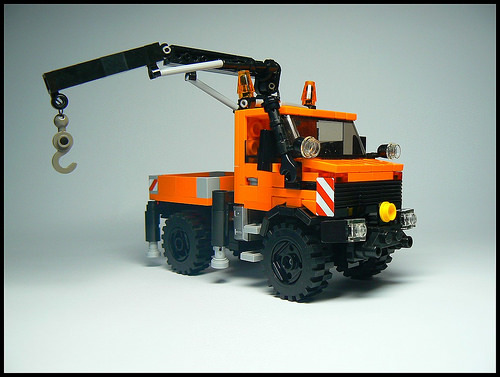 Polish builder Damian Z. doesn’t disappoint with his Unimog crane truck in high-visibility orange.